By Katie Rich. 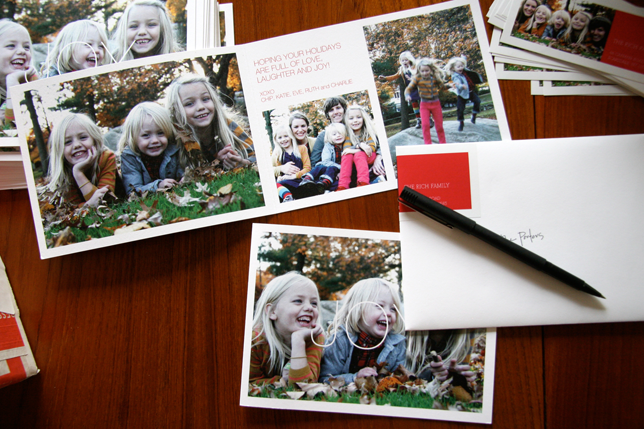 I’ve been planning to send out Christmas cards every year for the (almost) eight years we’ve had kids. It’s happened once. Five years and one child ago. Determined this year, I grabbed my camera, children and husband, walked across the street to the park and snapped away for an hour. After some agonizing over the card selection (too many great options!) I popped a few of our shots onto Pinhole’s website, ordered the card and now, just days later, a beautiful stack sits on my table, waiting to be addressed and sent out into the world.My favorite part (other than those faces)? The return address labels. 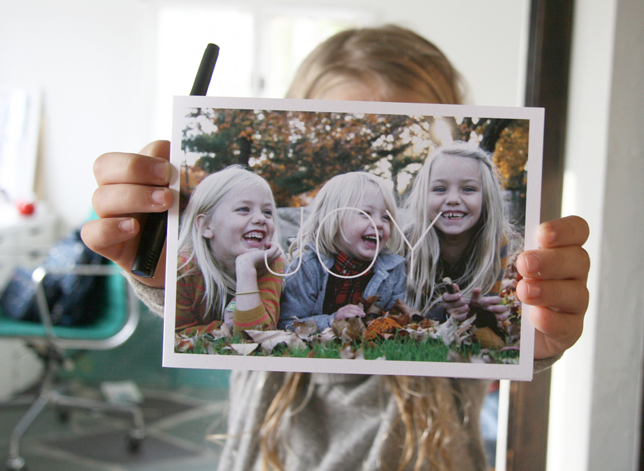 That picture that wraps around the back of the envelope is such a darling surprise. Plus, anything that saves my hand from the inevitable cramping brought on by a lot of writing will always get my vote. Joy!